The Porsche 911 Carrera RS is an exercise in reducing a formula to its purest form. 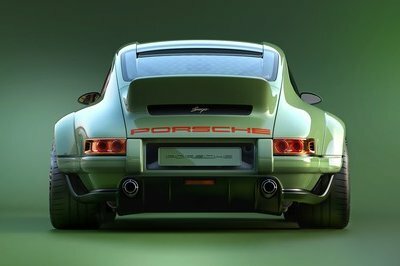 It was built as a lighter, faster, and more powerful version of the 964-generation Carrera 2 and it stands as a spiritual successor of the magnificent 911 Carrera 2.7 RS from the early ‘70s. The Benjamin Dimson-penned Porsche 911 (964) debuted in 1989 and featured a rounder body shape in tune with the times which was a clear, but not profoundly radical, departure from the design of the previous 911 that was still tracing its roots back to the original Ferdinand Alexander Porsche-drawn model launched in 1963. For 1992, Porsche launched the Carrera RS in Europe which was, in essence, a road-legal version of the Carrera Cup racing cars. This single-make series was on the bill of the Formula 1 World Championship weekends as support races in between F1 sessions. The 911 Carrera RS never officially made it across the Atlantic and into the U.S. market. With that being said, 45 cars that were meant to be used in a Carrera Cup U.S. series that never materialized did trickle down to dealerships and were quietly sold in 1993 in the shadow of the RS America which deserves its own review as it isn’t identical to the European RS. 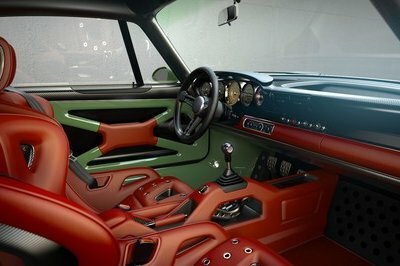 Founded in 2009 by British musician Rob Dickinson, Singer Vehicle Design is a California-based customization and restoration shop that specializes in 964-era Porsche 911s. 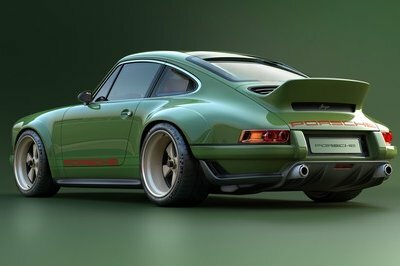 In the past, we’ve seen loads of lust-worthy cars from Singer, but this latest example bests them all. Commissioned by client Scott Blattner, the goal was a lightweight, high-performance revamp of Blattner’s 1990 911, but the end product goes above and beyond in just about every single way. For starters, Singer sourced input with some of the biggest names in Porsche performance, including motorsport engineer Norbert Singer, engine specialist Hans Mezger, and racing driver Marino Franchitti, not to mention automotive journalist and Top Gear host Chris Harris. Big-name companies like Michelin, Brembo, and BBS Motorsport also got in on the mix, while Williams Advanced Engineering (yep, the F1 folks) played a major role in the vehicle’s technical development. The project took two years to complete, but the results are staggering. Dubbed the Dynamics and Lightweighting Study, or DLS, every part of the 911 was tweaked, and Singer is so happy with it, the tuner is now offering special DLS services to select customers. 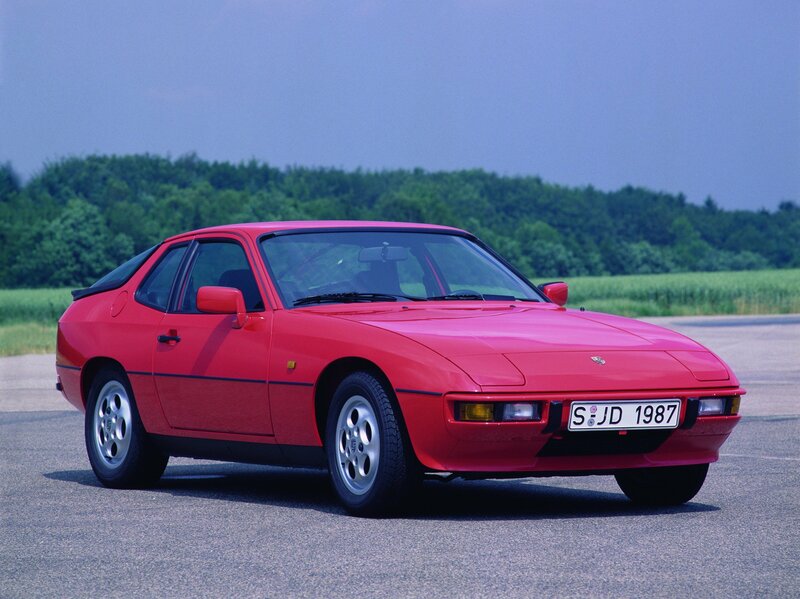 Blattner explains – “The question became… what if Singer worked on restoring and modifying my beloved 27-year old Porsche 964, with the assistance of an engineering concern born from the world of F1. 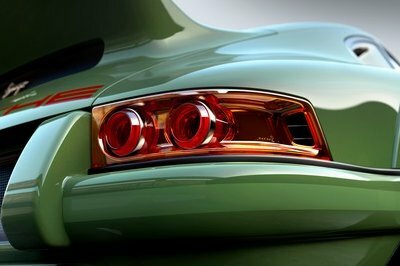 How would such a car look and how would it perform?” Read on to find out. 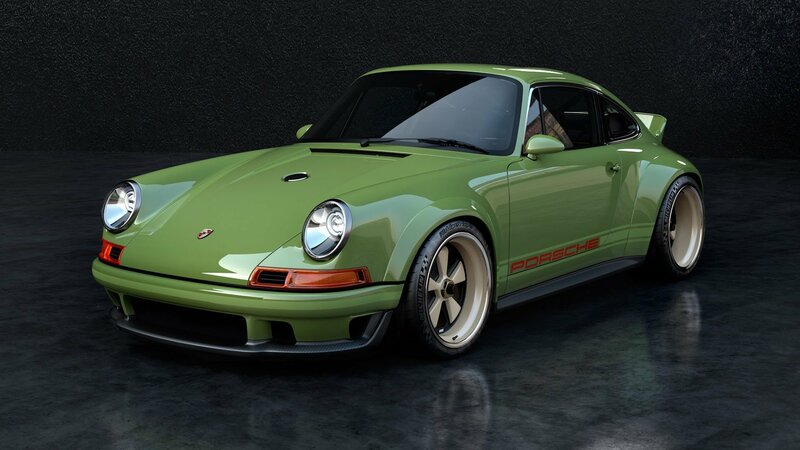 Continue reading to learn more about this Porsche 911 by Singer Vehicle Design. From the off, there’s obviously something very special about this 964. While it might have the same general shape as its factory siblings, the reworked DLS gets a slew of tasteful enhancements that not only make it look incredible, but upgrades the performance potential as well. 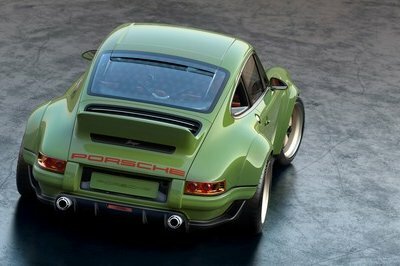 Let’s start off with the styling, which comes draped in a unique shade of green Singer is calling “Absinthe.” While not necessarily understated, the color isn’t in some retina-searing red or yellow, and it gives the whole thing an exclusive feel very much in line with the rest of build. The fenders also get substantial flares front and back, which help to house the mammoth tires mounted in the corners. Chrome detailing can be found around the headlight housings and the window surrounds, while both the front and rear bumpers get a reshape. Speaking of the bumpers, the 911 you see here manages to strike a balance between looking good and going fast, which means that jaw-dropping aesthetic is matched with a litany of nerdy details to help it warp the atmosphere to its advantage. For example, check out the carbon underspoiler in front and the side skirts in the flanks, plus the integrated rear spoiler and intricate composite diffuser in the tail. Those components are the product of extensive computational fluid dynamics (CFD) analysis, courtesy of Williams Advanced Engineering with consultation from Norbert Singer. Rest assured – this thing is functional, from the new intakes in the nose, to the ram air element in the rear side windows, to the rounded vents in the taillights. And oh yeah, did we mention how good it looks?! Finally, rounding it out is a set of wheels from BBS Motorsports. 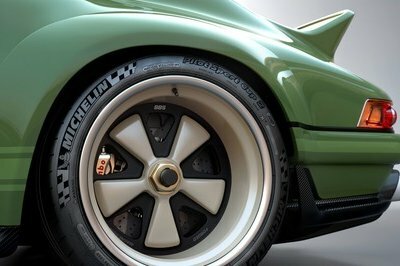 Rocking a classic deep-dish, five-spoke 911 design scheme, these 18-inch rollers are made from forged magnesium and utilize a monobloc construction for superlative low weight, plus a race-inspired center-locking mechanism to keep them in place. We could talk about the details on this thing for days, but it’s probably better if you see them for yourself in the photo gallery. Just be ready to have a new desktop wallpaper after you’re done. Unsurprisingly, the interior of this 911 is extensively customized as well, with an utterly breathtaking design that has us drooling for more. Following the lightweight theme, carbon fiber is used extensively, and can be found on the dash, door inserts, central tunnel, steering wheel, and seat backs. Bare metal finished in the same Absinthe color scheme joins the composites, while the rest of it gets hide coverings done in Blood Orange. Once again, the attention to detail is astonishing. Everywhere you look, there’s something interesting to inspect. For example, the steering wheel is a custom three-spoke unit, while the pedals are made from brushed metal. The dash design is simplified and clean, and Singer maintained the rear seats with bits of hide as well. There’s even an exposed shift linkage in the central tunnel. We’ve said it before, and we’ll say it again – who doesn’t like an exposed shift linkage? Bad people, that’s who. Like any proper enthusiast tribute to the 911, this custom 964 comes with an air-cooled flat-six powerplant mounted out in the rear. Standout features include four camshafts and natural aspiration. Developed with technical input from Williams Advanced Engineering, plus consultation from none other than Hans Mezger, the same German mastermind who made the type 804 flat-eight for Formula 1, the Le Mans-winning Porsche 917, and the M96/72 dry sump engine derived from the 911 GT1 EVO, this screamer pumps out as much as 500 horsepower when you press the long skinny pedal on the right. Routing the muscle to the rear wheels is a lightweight six-speed manual transmission, which is carved from magnesium to help shave substantial pounds. Singer has declined to provide further specs or performance figures, but considering this bespoke 964’s ultra-wide rubber and drastically reduced curb weight (more on that in a bit), you can bet this thing is an absolute rocket ship. If we had to guess, we’d say it probably does the sprint from 0 to 60 mph in the low-3-second range, possibly breaking into the 2’s if driven to its maximum. Given this car’s laser-like focus on cutting out every undesirable pound possible, Singer went to town with the exotic materials. As such, the DLS uses plenty of titanium, magnesium, and of course, carbon fiber. The final result of the diet is a dry weight of just 2,180 pounds. Headlining the parts list in this area are new dampers from EXE-TC, a U.K.-based company that offers a variety of products for sharpening many a 911’s performance. Meanwhile, Michelin provides the tires, with a Pilot Sport Cup 2 compound customized for this specific application. Finally, the brakes are from Brembo, incorporating lightweight monobloc calipers, plus rotors made from a carbon composite material. To keep the DLS series of vehicles somewhat exclusive, Singer will only build 75 examples, each of which will be a unique creation custom tailored to the whims of the client, from a stripped-down performance beast, to a cushier touring machine, and everything in between. Singer chose not to divulge exact pricing, but it’s expected the final figure will depend on the level of modification and restoration desired. If we were to guess, we’d say this particular example probably comes close to the seven-figure mark. All DLS Singer vehicles will be built in the U.K. at the tuner’s newest factory at the Williams campus in Oxfordshire. Old-school cool, new school engineering. 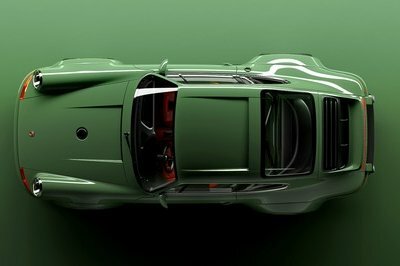 That’s what makes the above-featured 911 so amazing, and indeed, it’s the same stuff that went into the Eagle Spyder GT. 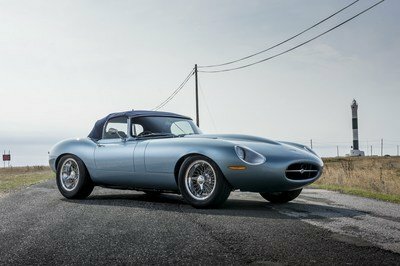 Built on the bones of an original Jaguar E-Type, the Eagle Spyder GT comes with a modernized interior, an all-aluminum 4.7-liter XK six-cylinder engine, and updated independent four-wheel suspension, not to mention 330 horsepower at the rear wheels. Read our full review on the 2017 Eagle Spyder GT. We here at TopSpeed have seen more than our fair share of custom cars, but this one in particular stands out in a number of ways. First off, it looks gorgeous, but not in an overly flashy kinda way. It’s got all the style as the factory car, but with just enough extras to make it look unique and sleek. 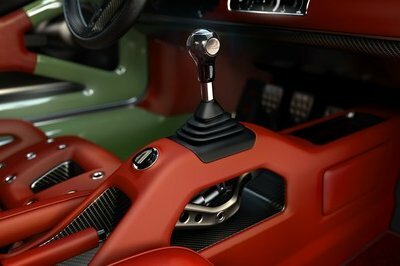 Secondly, the interior is quite well executed, with a bevy of details that match the exterior’s nonchalant awesomeness. Finally, it’s got tons of power and performance, boasting development input from a veritable who’s-who list in the world of automotive performance – it’s got aero designed by an F1 team, an engine by Hans Mezger, and driving dynamics designed to make Chris Harris smile. You can feel the passion that went into this car just by looking at it. 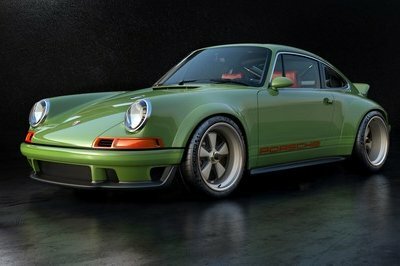 This is a 911 for enthusiasts, by enthusiasts. All we can say is – wow. Begs to be driven, but do you dare to take it out of the garage? 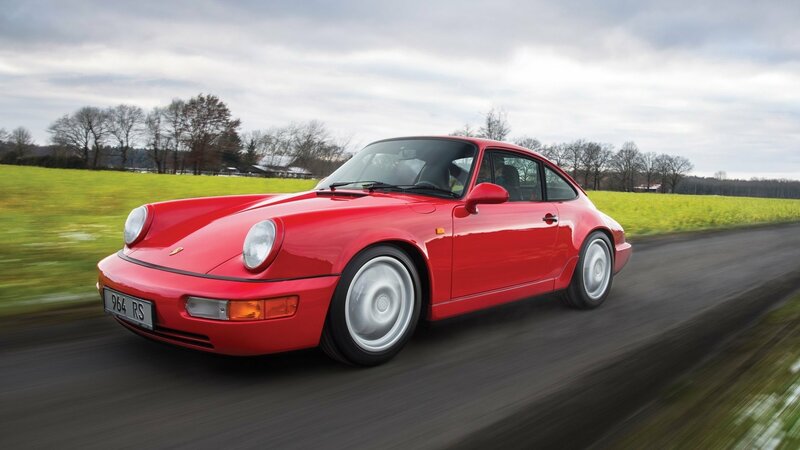 Read our full review on the 1994 Porsche 964. Usually, when you see the phrase “No expense was spared on this build” in a craigslist ad for a modified vehicle, the result is either extremely impressive, or a complete mess. Luckily, it’s the former when it comes to this gorgeous early ‘90s 911. 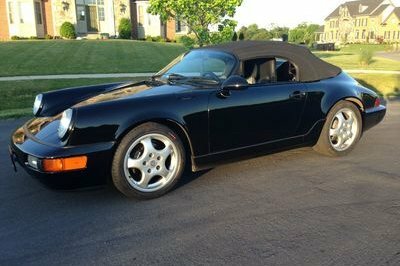 Even though it’s got 132,324 miles on the odometer, this thing is practically new, with a slew of high-end performance components that work well to bring out the best in the 964-era coupe. It’s dubbed the RWB Hollywood, and Akira Nakai from Rauh-Welt Begriff takes credit for the build. If you’re drawing a blank on the name, here’s the rundown – RWB is a Japan-based tuner of all things 911, and is best known for churning out some of the most outrageous Stuttgart stunners in the world, combining form and function in a single custom package. Unique, eye-catching, and quick – these are the things that make a RWB 911. And now, you can get one in Miami for about $150,000. Mechanically, the RWB mounts a 3.6-liter, air-cooled six-cylinder engine in the rear, which send power to the rear wheels by way of a G50 manual transmission. 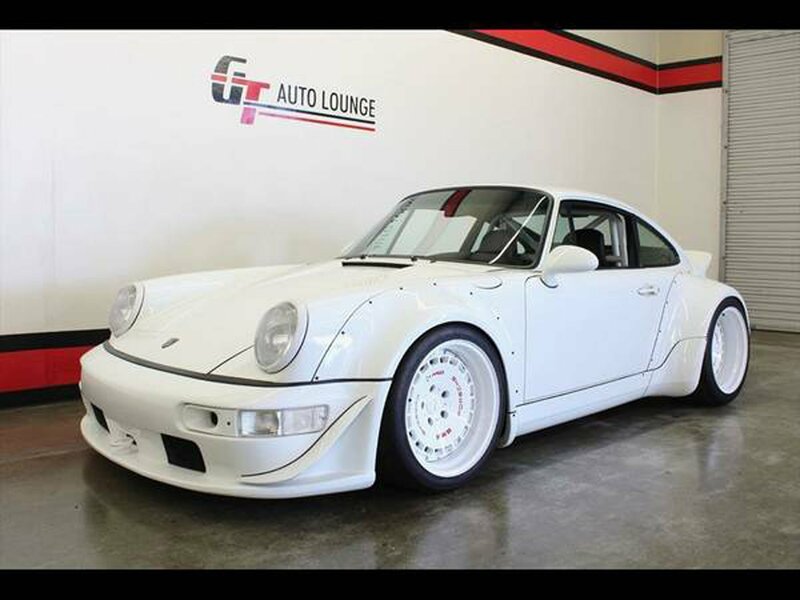 The whole shebang was stripped down and re-sprayed in its original Grand Prix White paint scheme, and come complete with a full RWB 964 body kit. It’s a head-turner, that’s for sure, so read on for the details.